Tomar Joto Raag Lyrics In Bengali by Mahmudul Hasan Romance. Music composed by The Tune Curry Team. Chayer Cup E Tomar Joto Raag Bangla Lyrics written by Dhiman Rahman. 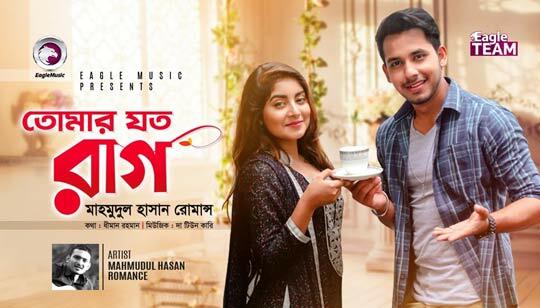 Starring: Zaher Alvi and Nusrat Jahan Ontora.